American Bartenders School has helped thousands of men and women find lucrative bartending jobs in NJ and NY. With 44 years of bartending school experience, we have made thousands of contacts in New Jersey and New York in the bar business. These contacts have hired our graduates in the past and call us every time they need bartenders. They have first-hand experience with American Bartenders School graduates and know they are well trained and ready to work. 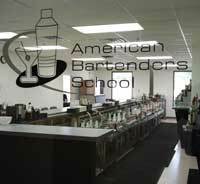 American Bartenders School has two convenient locations in New Jersey and New York. You can easily reach the school from most major roads in Northern New Jersey.